The ‘default option’ for Gallic travel is Paris, Brittany, or ‘Le Croisette’, which Iain Robertson highlights is wonderful but also a bit ‘thoughtless’, so he drove to and from Champagne, to prove a point. The charms of France are beguiling, whether eager beavers are seeking a weekend vacation, or a longer holiday. Personally, I would stay as far away from ’the Capital’ as possible, because its wondrous countryside, which can be reached so readily by train, by plane, or on road (my preferred method), is the biggest part of the joy of Gallic travel. Picking a region was easy. Champagne country starts in the northern Ardenne area, not far from Belgium, with Charleville-Mezieres as my first destination. Driving there in my ‘Shittigo’, if you can pardon the punic name gifted to my little, 1.0-litre Skoda, I was determined to avoid the autoroutes, their tolls and the hassle of leaning across the car, or having to alight, retrieve a ticket and tolerate the ‘mental abuse’ of ‘Jean-Claude’ behind in his revving diesel Renault. Firstly, I should like to thank my friends at P&O Ferries for the first-class ferry trip across La Manche. A combination of ‘Priority Boarding’, the Business Class lounge (add £12 for free snacks and drinks, newspapers, comfortable seats, immaculate facilities and no raucous shell-suits) and smooth sailing conditions are a great start to any break. Popping into the excellent ‘Brasserie’ restaurant, just across the corridor from the lounge, adds an extra element of relaxed enjoyment, partaking of a good meal (around £18) in preparation for a moderate length of drive. In my book, the ferry is the finest way to trip to France. Sticking to the routes nationales (RN) and departmente roads (D), the change from the relative flatness of north-western France to the naturally hilly, sparsely populated and more interesting, tree-lined countryside of its north-east is notable and memorably pleasant. Four hours later, I arrived in the town in the valley, my hotel, Le Dormeur du Val (the ‘sleeper in the valley’, at 32 Rue de la Graviere), part of the Best Western group, is just off the centre of Charleville. Parking is in the station car park, less than thirty feet from the entrance to the hotel. Thanks to an arrangement, it is free of charge, a pass-out ticket being provided by the hotel. Ultra-modern and celebrating the works of local, radical poet, Arthur Rimbaud (b. 1854 Charleville; d. 1891 Marseille), le Dormeur is friendly, cosy and exceptionally comfortable. Rimbaud, a poetic genius, wrote the majority of his influential works before the age of 21 years. His influence on modern literature and the arts is legendary. In some ways, this characterful hotel, despite its immensely attractive industrial design origins, is as radical as the poet. Tasteful décor, first-rate services and a comfortable bed for the night are primary requisites that le Dormeur provides to perfection. 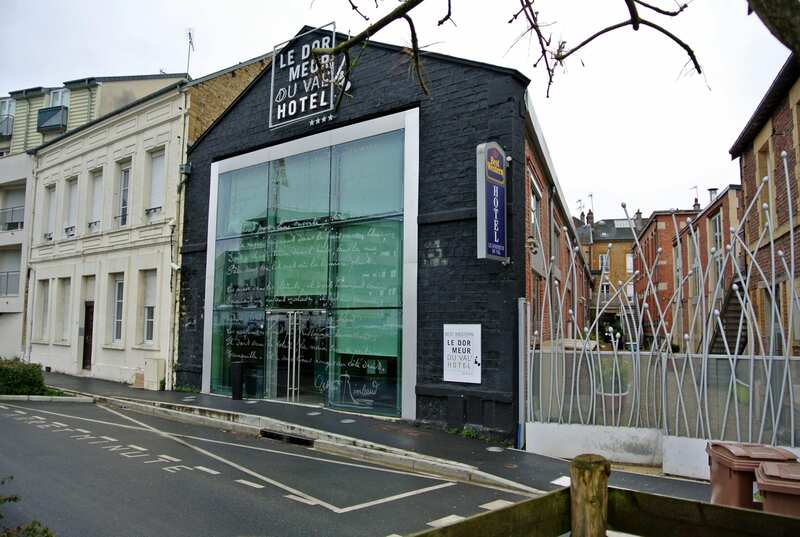 Consisting of a mix of only 17 rooms spread across just two floors, you are advised to book well in advance, as modern, industrial Charleville and medieval Mezieres (separated, yet conjoined by a railway line) are highly active on the events front. A typical double-room rate is around Euros100pp including petit dejeuner. While the hotel can provide a limited menu, located just around the corner, on Avenue Forest, is a plethora of fine restaurants from which to choose. 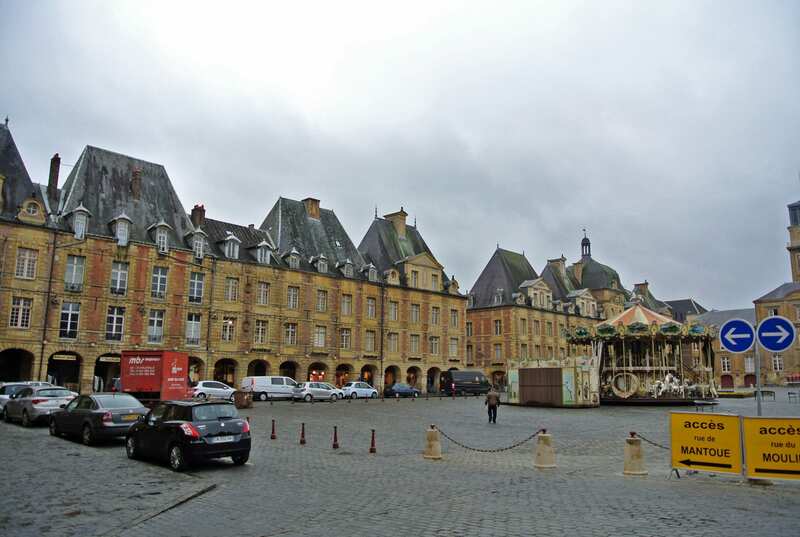 It is an ideal location for reaching the town square (one of two, as Mezieres has an historic one of its own), where all manner of festivals and events take place. There is a major international beer festival (in May, although local breweries are celebrated throughout the year) and the famous World Puppet (marionnettes) Festival also takes place in the town every other September. The ancient centre at Mezieres is well worth exploring, with its historic square, its magnificent Basilica, home to the Black Madonna, with an amazing array of ‘Picasso-esque‘ stained glass windows, and the remains of its fortified walled city. Organised by the local tourism organisation, a number of ‘weekend break’ opportunities include a ‘Wine Discovery Break’ (from a mere Euros60pp, including overnight in a double-room at the three-star Kyriad Hotel; meals at extra cost). My evening meal was taken in the ‘Sel et Poivre’, at 12 Avenue Forest, a true culinary delight, from the creative mind and hands of chef Olivier Houzet. From a starter of Cocotte d’endives, Reblochon et jambon de pays (onions, in-season endives and wild boar meat baked in a rich cheese sauce), which was lipsmackingly gorgeous, to a main course of Poelee de Saint Jacques (ten fresh queen scallops, served with sweet local carrots, tomatoes and earthy potatoes) that made me feel as though I had been transported to heaven, ending with an Assiette de fromages (which included a crumbly, yet creamy Maroille, the much renowned Chaource, a local chevre goat’s cheese and the flavoursome Reblochon). It was washed down with a bottle of Badoit sparkling water and a pression of sweet and hoppy Belgian Leffe Blonde beer. Total cost: Euros40. 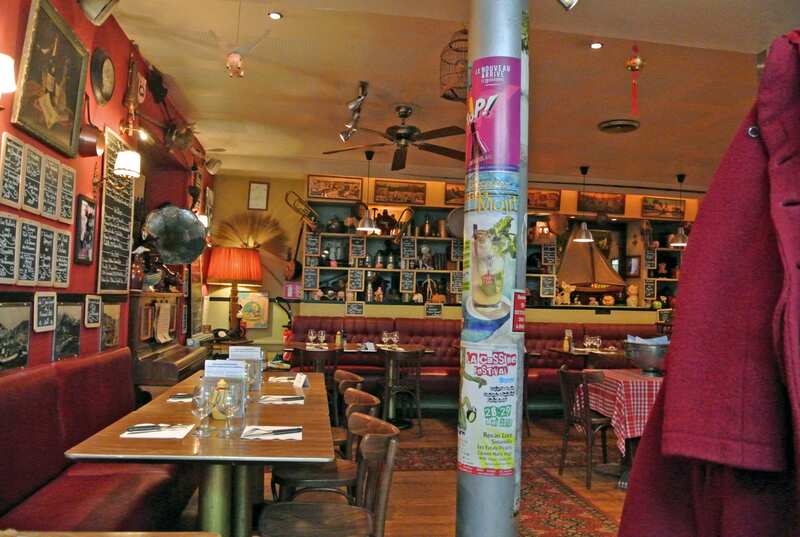 My lunch next day was taken at the wonderful ‘Le Cochon qui Louche’, at 31 Rue Victoire Cousin. A quirky establishment seemingly dedicated to the ‘pig’ of its name, its menu was truly splendid, consisting mostly of fresh local produce and a predominance of ham and eggs. My starter was a lovely cold collation (l’assiette) of local meats (different styles of ham) and cheeses, while my main course, full dish omelette followed suit with additional cooked hams and potatoes. Beautiful. Again, the local tourism department has organised a ‘Gourmet Getaway’ at Charleville-Mezieres for just Euros77pp that includes an overnight stay with breakfast in ‘The Couleurs Sud’ three-star hotel, dinner at ‘Eau a la Bouche’ to experience local specialities, a basket of local produce and a ‘scavenger hunt’ to discover the town. It represents great value. Ardenne is at the crossroads of the Germanic and Latin parts of Europe, a land that was fought over for many centuries, it offers history seekers a fine opportunity to enjoy a longer break. Continuing my drive across to Sedan, just 20 minutes away from Charleville-Mezieres, the beautiful Meuse riverside, medieval walled town, with a magnificent fortress at its heart were wonderful. Second only in stature to Carcassonne (in the Languedoc region), the impressive Sedan Castle will take your breath away with its splendour, from the second you step within its immense ramparts. 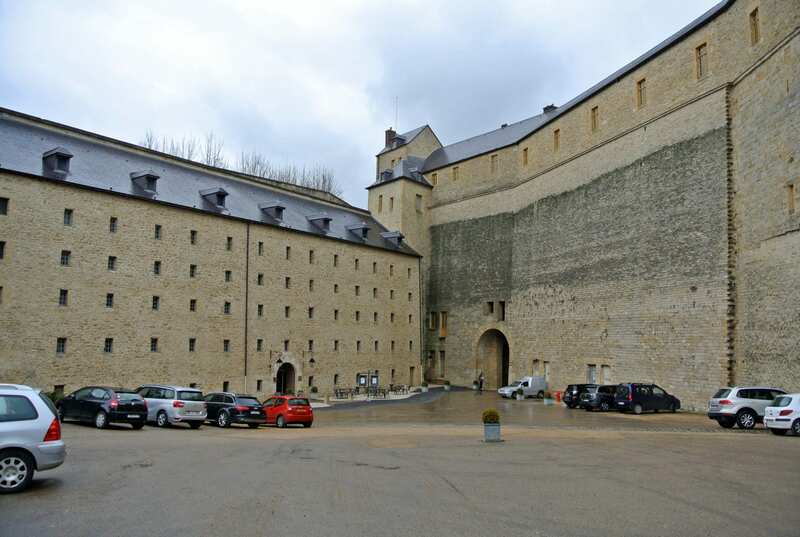 Within what used to be the French army barracks is now a splendid five-star hotel, over several floors, with its most prestigious suites located on the heady northern walls. Guided tours of the fortress are available throughout the year and, while parking is possible within the grounds, there are plenty of free spaces in designated areas around the exterior. Within the castle is the most original and fascinating Large Tower, featuring the lime wood structure of beams that has defied woodworm and remains a magnificent example of pre-medieval building standards. At various times, the feudal fortress, built atop an earlier Carolingian church, has been a triangular castle for the wealthy land-owning La Marck family, from Rhineland Germany, a Benedictine monastery and a vital centre point for travellers from France to the Holy Roman Empire. The remains of the church are being rebuilt now. Once again, the local tourism organisation (visitardenne.com) organises local tours and trails for the more adventurous holidaymaker, starting at Sedan. It is not far north to Rocroi and the Belgian border, where you can take in the towns of Chimay, the citadel at Dinant and Rochefort, while a southern loop includes visits to Bouillon and its beautiful castle, Montauban and Montmedy. Medieval re-enactments and festivals take place throughout the year to add to the spectacle. On the other hand, you might follow the Abbeys Trail, the Beer Route, Green Trails, The Smugglers’ Circuit, the Monks’ Route and many other boating, walking, cycling, or horseback trails. With plenty of spires, certainly enough to rival our own ‘city of spires’ (Oxford), a canal visible from the autoroute and something of an industrial presence, located in the Marne departemente of Champagne-Ardenne, Reims’ fortune was based on wool and much of its early wealth came from textiles. However, in an area surrounded by vineyards as far as the eye can see, there is no surprise that it is also the central hub of the Champagne wine industry and all of the most prestigious Champagne houses have their head offices above ground and chalk ‘caves’ beneath (where the bottles are stored and rotated constantly at strictly controlled temperatures, to provide their individual characters), in various places around the historically important city. While it would be easy to become lost in the Roman maze of Champagne caves beneath Reims, thanks to Mr Jean-Pierre Redont, of Champagne Taittinger, I was guided through one of France’s most prestigious, family-owned (the only one of the major labels), production centres and given an insight to a wondrous industry that owes a lot of its existence to a combination of British taste and La Belle Epoque, a period of ‘the good life’ enjoyed by France towards the end of the 19th Century. 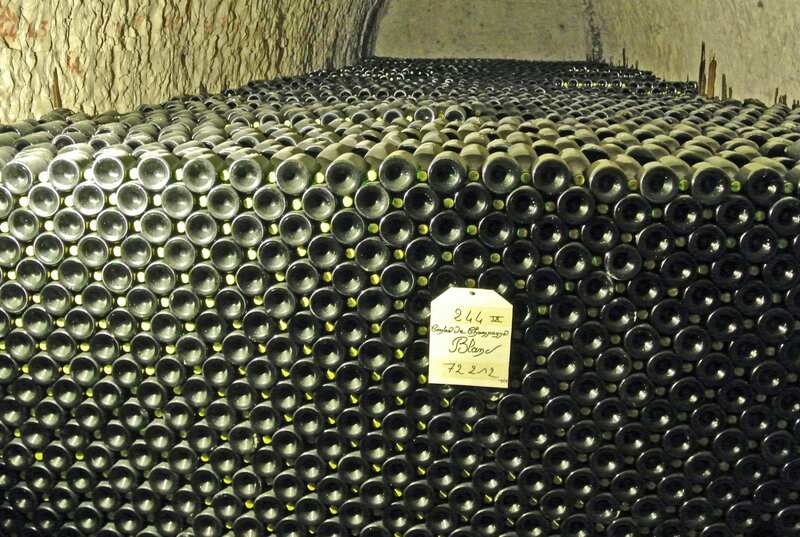 Champagne is produced to a specific standard and quality (the ‘appellation d’origine controlee’, introduced in 1919). Yet, it was not always the sparkling white wine that we know today. In fact, the famous Dom Perignon (1638-1715), the Benedictine monk, who was behind the development of what changed from a pinky-grey and not very sweet wine, to what we now regard as one of the finest alcoholic drinks, did his level best to rid early Champenoise wines of their bubbles. It is made from pinot-noir red grapes, although Taittinger uses Chardonnay grapes these days for its flawless signature flavour and respected quality. Yet, being on the extremity of the best red wine growing regions of southern France, the different climate creates wines that lack the body and depth of ruby coloration that epitomise the wines of Burgundy. Champagne thus developed its own unique style that was beloved by the kings and queens of Europe and both Russia and the UK, followed soon after by the USA, became major customers from the mid-17th Century, a situation that remains constant today. It is the residual sugar and dormant yeast within the bottles that restart the fermentation process, resulting in the ‘fizz’ so characteristic of the wine. The cellars below Taittinger’s elegant office suite are impressively cool and humid and each of the caves is full of bottles (over three million), all lined-up impeccably and ‘riddled’ regularly (an artful method of turning the bottles to drive sediment to the closure, without losing too much of the natural ‘gas’; a top ‘riddler’ can turn 60,000 bottles in a day). While most Champagne was in varying degrees of sweetness, British buyers preferred a drier palate and gradually this has become the most popular, also labelled as ‘Brut’. The cost of the Taittinger tour is Euros16.50pp, which includes an English language video show that is highly valuable, a comprehensive tour (45 minutes) of the caves and a celebratory glass of Taittinger’s finest at the end (it costs another Euros8 for an extra glass). 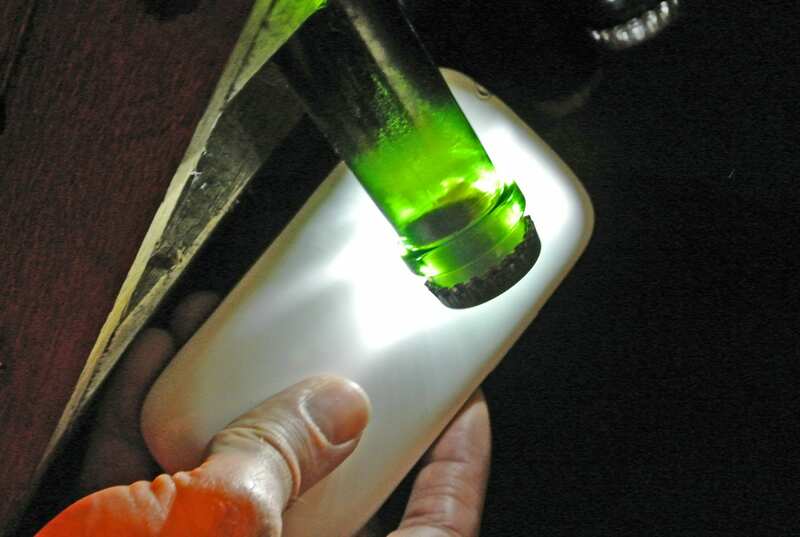 As with many sites at Reims, including Taittinger, UNESCO World Heritage status has been applied. Recognition of the importance of the city is becoming more prevalent. After all, this was where Clovis, a Frankish king, was baptised in 498, where the stunning Notre Dame Cathedral of Reims now stands. Following that, Reims became the seat of coronation for 25 kings of France. As a sizeable amount of rebuilding took place between the world wars, the Art Deco style predominates, epitomised by the superb Bibliotheque Carnegie (the historically relevant library, funded by the great Scottish benefactor), which is a brief stroll away from Notre Dame. The simply inspirational Notre Dame Cathedral is a prime example of 13th Century Gothic art and, despite incurring terrible damage during the wars, it retains many of its 2,300 statues that adorn both its exterior and interior walls. Alongside the cathedral is the Palace of Tau, which was home to the bishops and archbishops of Reims, although it is now a museum for the cathedral. 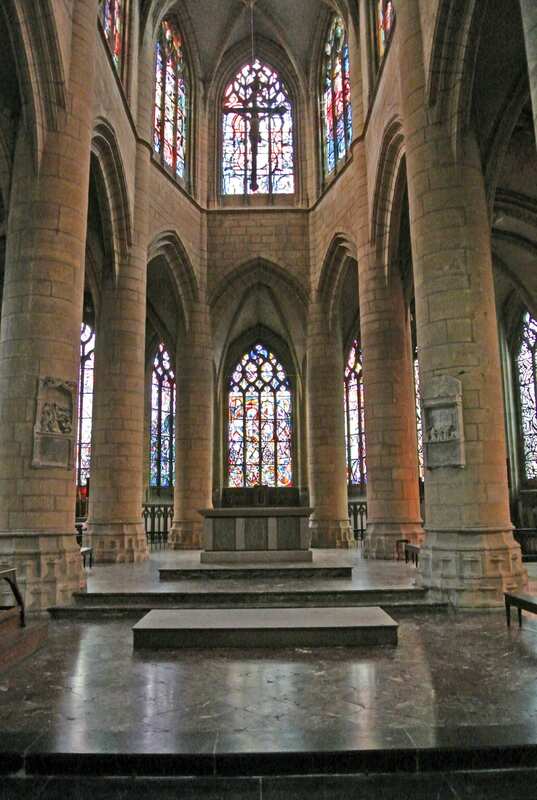 The Basilica of Saint Remi, named after the bishop of Reims, was built in the 11th Century and is home to the holy ampoule (that contains the oils used to anoint the crowned Gallic kings) and the bishop’s reliquary. It is also a very beautiful building and worth a closer look, not least at its beautiful stained glass windows and myriad statues. Adjacent to it is a museum that documents the history of the area from Roman times, while its 16th Century tapestries and the lovely Chapter House are all worth visiting. 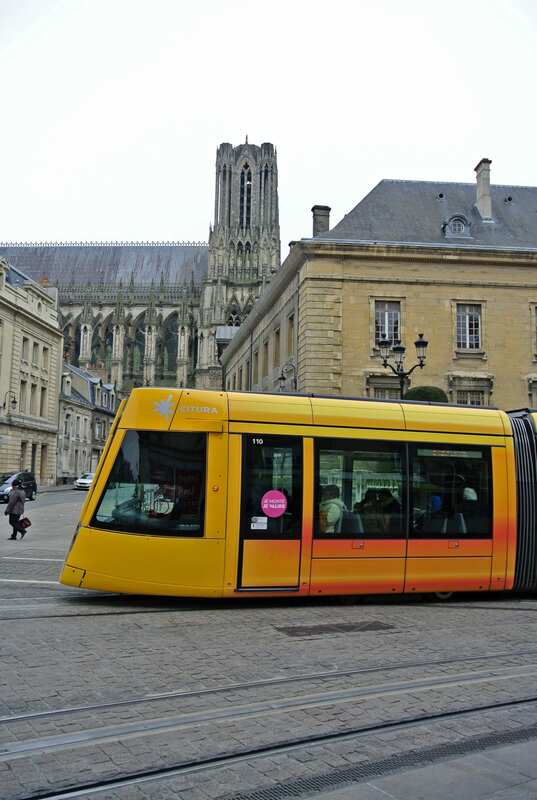 Visitors to Reims are spoilt for choice. The sprawling city has so many hotels and restaurants to choose from, as any check on the city’s website will confirm (reims-tourisme.com). 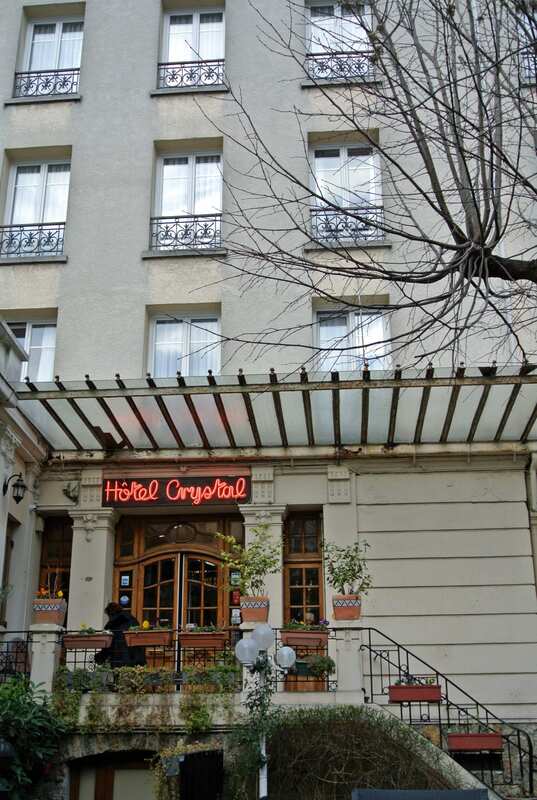 I stayed at a delightful three-star hotel (Hotel Crystal) in the centre of the city. Parking below the pedestrian precinct, on Place Drouet d’Erlon, the space was clean and secure (Euros11 overnight), with a lift to street level and a short walk to the hotel, through a tunnel, which is set back from the main thoroughfare. In the evening, a brief walk to Brasserie Flo, at the corner of Place Drouet, provided another culinary delight. After a complimentary glass of Taittinger Champagne, accompanied by a bottle of Perrier water, I enjoyed the lovely, light starter course of Oeuf mollet, fricassee de champignons, cremeux de parmesan et croutons dores (soft-boiled egg, in a cheesey sauce of cepes and girolles mushrooms with crispy herbed croutons). It was followed by a main course of Dos de saumon plancha aux lentillons de Champagne, crème acidulee a l’estragon (salmon steak on a woody lentillon base, with a tangy tarragon sauce) and a dessert of Gazpacho d’ananas, glace au lait de coco Louise et tuile croustillante (effectively a warm pineapple ‘soup’, with a ball of coconut ice-cream in the middle of the bowl and a tuile biscuit accompaniment). After a double espresso, I settled the bill for Euros41. The meal was utterly delicious. Lunch the next day was taken at the avant-garde, family-owned ‘Café du Palais’, which has been in the hands of the Vogt family for the past four generations. 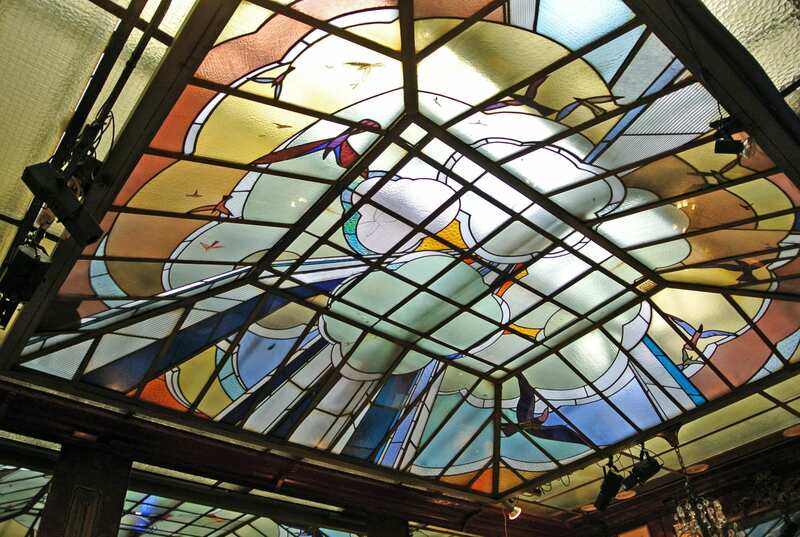 Immensely popular, as it is ‘the’ place to be seen dining in Reims, it is renowned for its beautiful 1928 stained glass ceiling, while the walls are adorned by drawings of Marc Chagall, a Gerard Rondeau portrait, a drawing by Anne Craven, watercolours by Luc Simon and David Tremlett, a Sophie Kitten’s sculpture and a work of art by Christian Lapie, among many other curiosities. 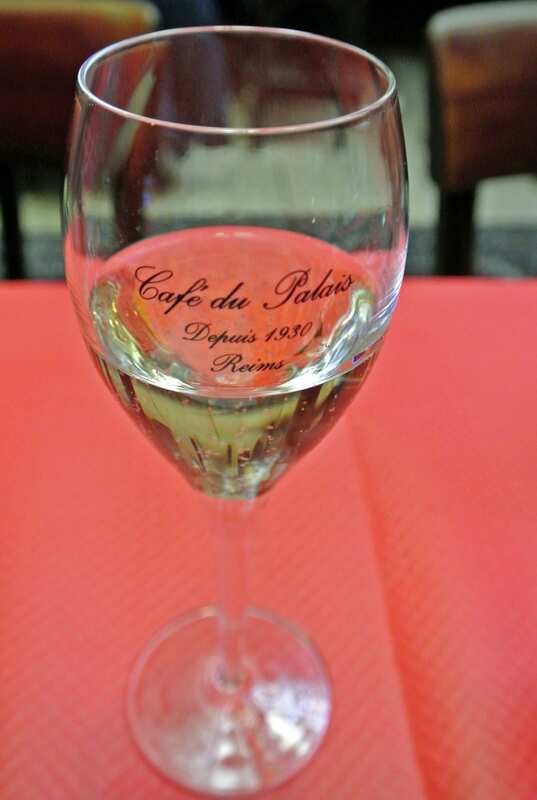 Extremely characterful and abuzz with the chatter of Reims residents and well-to-do visitors, a lunch of Reims ham with baked potato salad and a dessert of the famed pink biscuits of Reims, turned into an ice-cream, accompanied by a glass of Café du Palais Champagne, cost a modest Euros35. In Part Two of this diatribe, I deal with the working heart of the Champagne country. « Terrifically Tantalising is Audi’s sporting dialogue in diesel form!